Tanith Low. tanith.... HD Wallpaper and background images in the Skulduggery Pleasant club tagged: thanith low skulduggery pleasant ghastly bespoke. 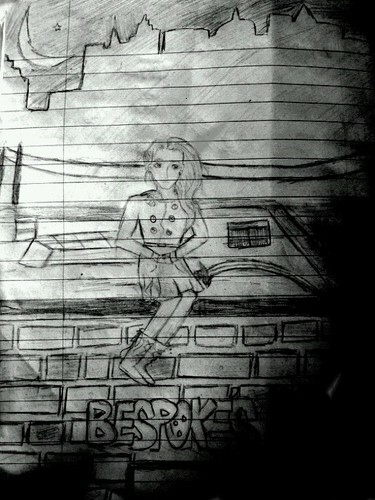 This Skulduggery Pleasant fan art might contain tanda, poster, teks, and papan tulis.